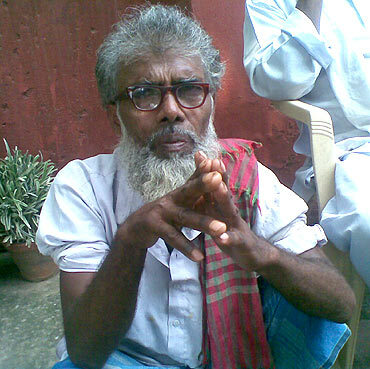 Sahim Salim talks to relatives of the June 3 Forbesganj, Bihar firing victims. The police had opened fire on villagers when they brought down a wall on government-acquired land, which the villagers claimed was blocking the connecting road between two villages. The police fired indiscriminately, killing four, including a seven-month-old, and a pregnant woman. 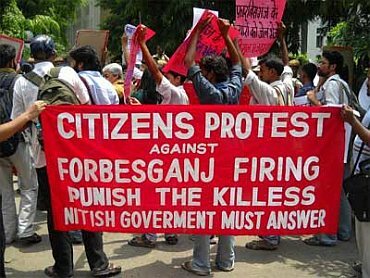 Tired of knocking all the doors available to them in their state, the residents of Forbesganj, who lost their kin in an unprecedented police firing on June 3, have reached the capital. The 45-minute-long police action claimed four lives, including a pregnant woman and a seven-month-old baby. The parents and relatives of the four deceased arrived in the Capital last week, and have met Sonia Gandhi, the National Human Rights Commission and the Minority Commission. Despite the brutality, the incident found its way into the news days after it took place. So far, only one government officer has visited the site to talk to the aggrieved residents -- Wajahat Habibullah, chairperson, National Commission for Minorities --18 days after the incident was reported. KJ Balakrishnan, chairperson, NHRC, has so far only announced that a team will be sent to Forbesganj, despite the blatant human rights violation in the case. Shabnam Hashmi of a Non-Governmental Organisation Anhad, which brought Forbesganj residents to the capital, says, "In the press conference we conducted after a fact finding mission in Patna, we realised that the media is state-controlled. A source in the Urdu press told us unofficially that Bihar Chief Minister Nitish Kumar sends hoards of advertisements to various publications and so, in effect, controls what goes to print to a large extent." "Consider the news that went to major dailies at the time of such a brutal act by the police in Forbesganj, there was barely a mention of the firing!" he added. On June 3, residents of Rampur and Bhajanpur, villages under Forbesganj block -- an industrial area in Araria district -- came out, after their Friday prayers, to protest against blockade of the connecting road between the two villages for a factory. The villagers had been assured in a panchayat meeting two days prior to the protests that a parallel road would be built before the road in question was blocked. When residents woke up on the morning of June 3, however, the road had been blocked. "After the prayers, a large number of residents staged a protest at the road and brought down the concrete wall, at around t 2 pm. The protestors dispersed after that. Residents began using the road, which connects the village to the all the hospitals and markets. After 4.30 pm, however, a large number of armed policemen arrived at the spot and started indiscriminate firing," says says Abid Hussain Ansari, spokesperson for Congress in the Arariya district. "There were no protestors to disperse, there was no agitation. Common men and women were using the road to go to work or visit hospitals. It was on these people that the police opened fire," he says. The results are in front of you -- one dead infant, one dead pregnant woman, two dead teenagers and nine injured villagers. All the injuries were waist up, indicating that the police shot to kill and not to contain the mob," he adds. Ansari's daughter Rihana was taking her six-month-old son Naushad to a nearby hospital when the firing began. 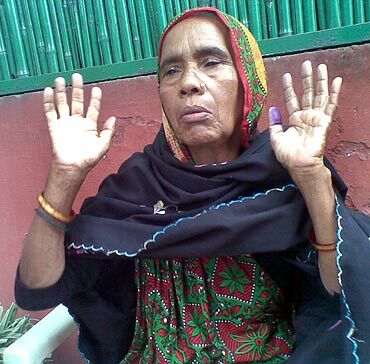 In a desperate attempt to shield her son, Rihana was shot in the hand, after which she dropped Naushad. The baby died instantly after two police bullets hit its spine. "Can you believe it? He was a toddler and the inhuman policemen fired on his back. Two bullets! Rihana was taking my grandson to the hospital because he had a slight fever. I curse myself for not having gone with them," says Rihana's father Mohammad Rafiq Ansari. Rihana's husband Amin works in Kashmir as a casual labourer, and is at Forbesganj currently. "My son-in-law has lost his job also. And my daughter is in a critical condition in a city hospital," Ansari says. 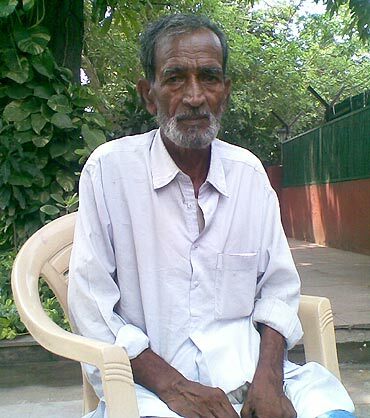 Khartoum's 22-year-old son Mukhtar Ansari was a truck cleaner. He had just returned from a trip and was resting inside when Khartoum asked him to get some vegetables from the market. "I sent my son to his death. He had not even had his food, poor soul; he died hungry. How brutally they murdered him!" Khartoum says, sobbing. In the post mortem report, it was revealed that Mukhtar was hit four times -- on his chest, stomach, head and spine. Khartoum says that Mukhtar was not even present in the area when the villagers were protesting. Tahira's 18-year-old son Mohammad Mustafa was going to his pan-shop in Forbesganj when the firing began. He was shot six times in the back, and lay bleeding on the road when an angry policeman stomped over him. Even before he was dead, he was sent for post mortem to the local hospital. "He was not dead and the doctor at the mortuary asked us to take him back to the hospital for treatment. By the time we got there, he had died," Khatoum says. "That is how cruel those policemen were. They did not even bother to check if he was still breathing. He would have been alive if those policemen were a little sensitive," Khatoum adds. Khatoum claims that when she tried to stop the policemen from further hurting his son after he was fired on, they threatened her. "They abused me and threatened to kill me as well. They said that they were keeping his body on the road so that other people get the message," Khatoum says. His six-months-pregnant daughter-in-law, Shazmeena was going to the hospital when the firing started. 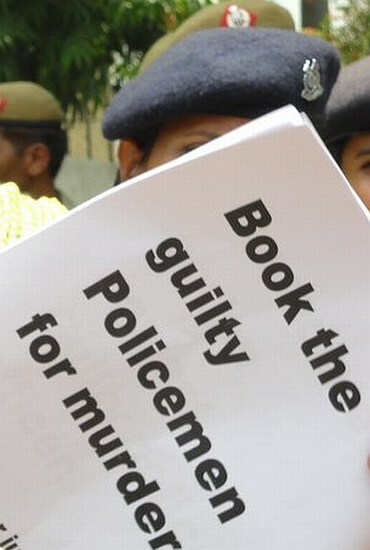 Shazmeena was shot six times on the hand, spine and stomach. Her two-year-old son, Amin was also accompanying her, but luckily he had darted off ahead with a neighbor. "After the firing began, our neighbor took Amin and rushed to safety. That is the only reason he was saved. My daughter-in-law could not run because of her pregnancy and she died. What kind of monsters fire on a pregnant woman?" asks Israel. 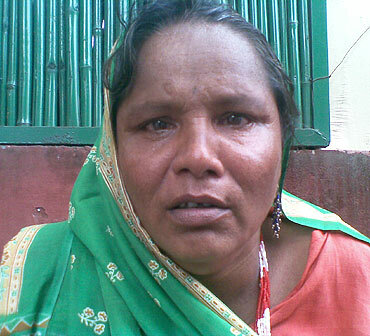 Shazmeena's husband, Farooq works as a casual laborer in Patna.